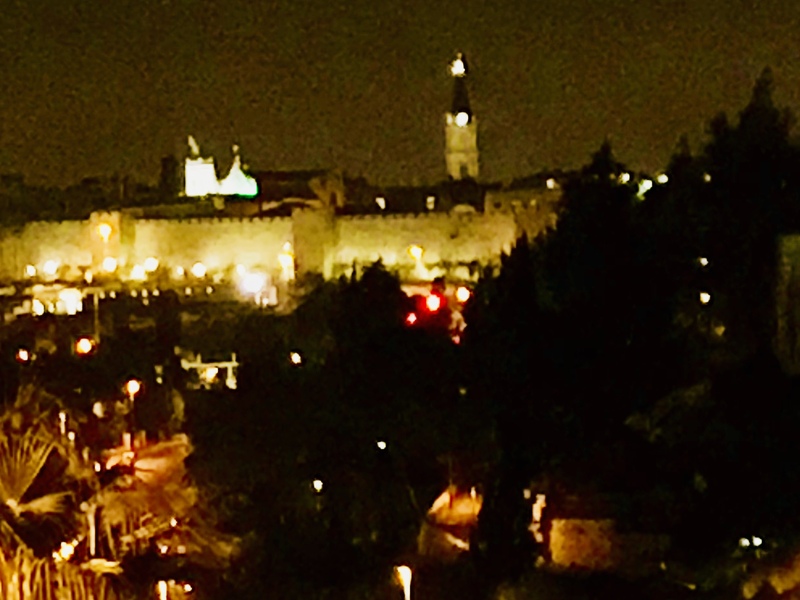 Every Shabbat at the OJC, we turn toward Jerusalem and intend our hearts toward what remains of the site of the Temple, the Western Wall. This Shabbat in Jerusalem, we turned toward the Wall itself, at Ezrat Yisrael, the Egalitarian platform of the Western Wall. 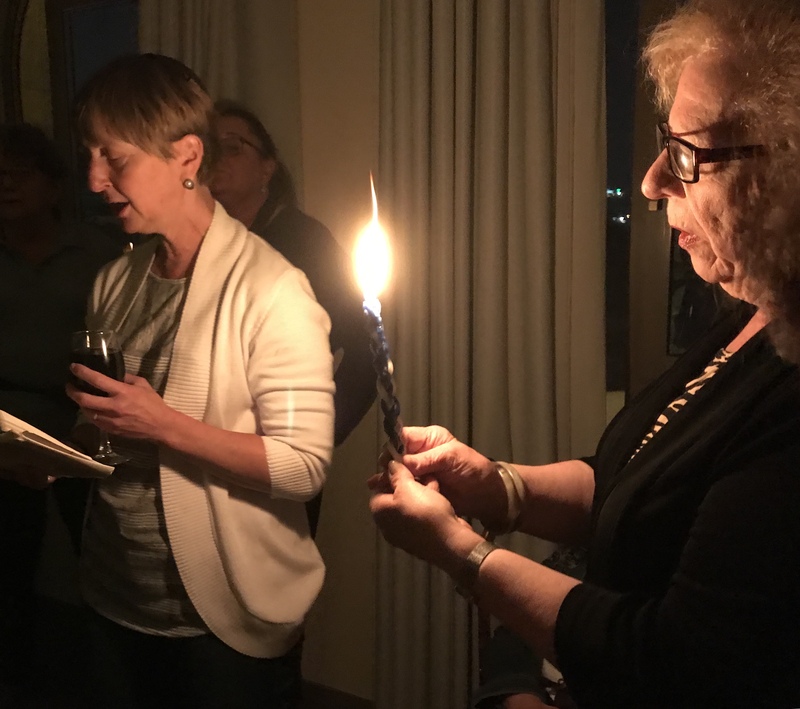 As our voices rose together in the prayers of Kabbalat Shabbat, our hearts were intended toward friends and loved ones back at the Orangetown Jewish Center. We brought into our minds all those we wish could have been with us on such a beautiful evening. Shabbat dinner at our hotel was enhanced by our guests, Sarah Machlis, Drill-bits, and two lone soldiers. We each shared a highlight of our week and the hardest thing was choosing just one thing to say. Shaya, one of the soldiers, adopted Eileen Rogers as his grandmother before he left us. Who could blame him? Shabbat morning, we were welcomed to the Masorti synagogue attached to the Fuchsburg Center for Conservative Judaism, Moreshet Yisrael. The chanting of Chazzanit Saralee Shrell Fox lifted us through the entire service, but especially as we joined her in singing Hallel. Rabbi Adam Frank moved us with a drash about the command: Be fruitful and multiply. Why did God so badly want humanity to continue that God made it a positive command? And why do we humans bring children into a world that is so difficult? Rabbi Frank suggested that we believe we can continue to improve the world into the next generations. Judaism teaches that we can. After lunch, we learned Torah with a Conservative Yeshiva student, Liza Bernstein. She challenged us with a comparison of Noah, a pure man who walked with God, to Abraham, a pure man who walked before God. 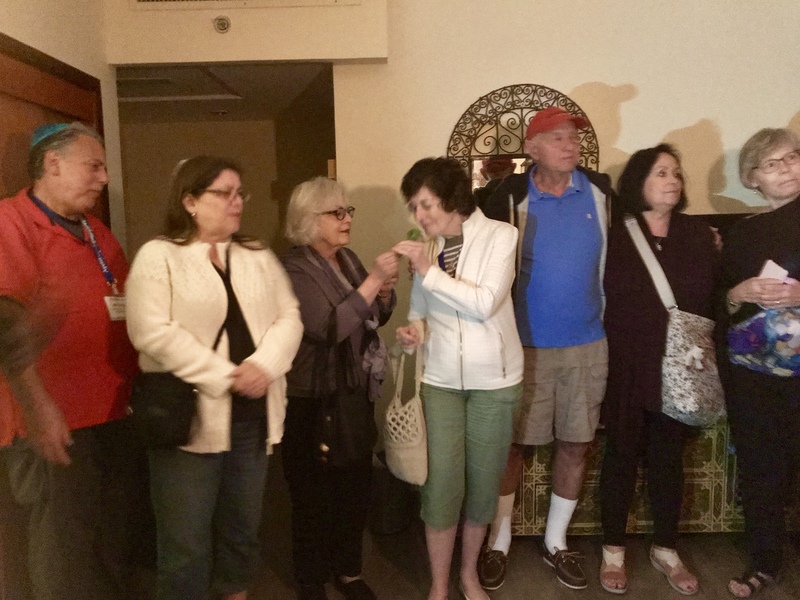 Participants on our trip brought honor to the OJC through their insightful and enthusiastic participation in the Torah study. 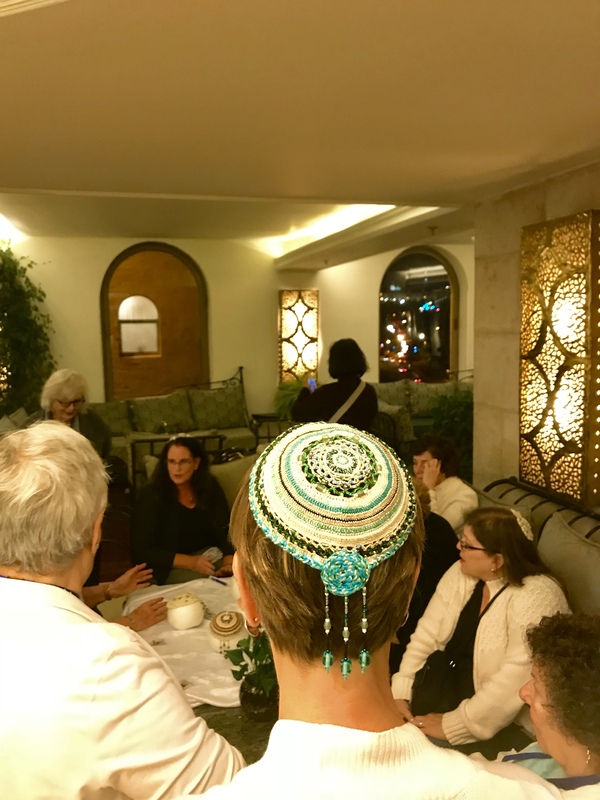 Liza will begin rabbinical studies next year at the Hebrew college in Boston, and she will make a wonderful rabbi one day. After just a little bit of time to relax in the afternoon, we gathered for Havdalah. We separated from the holy to re-enter the weekday, but we will surely carry holiness with us as we continue our adventures. Chazzanit Shrell Fox, who led us on Shabbat morning, happens to be an old friend. 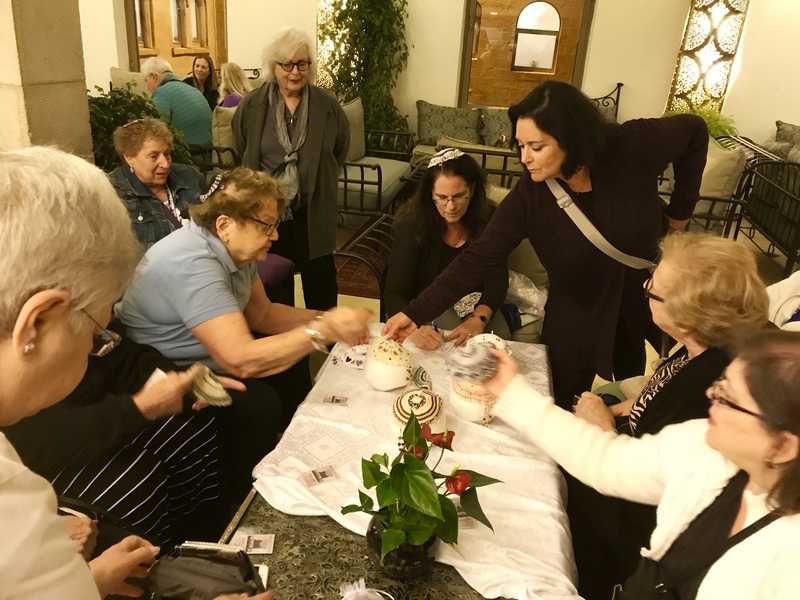 Among many other talents, she creates beautiful women’s kippot. 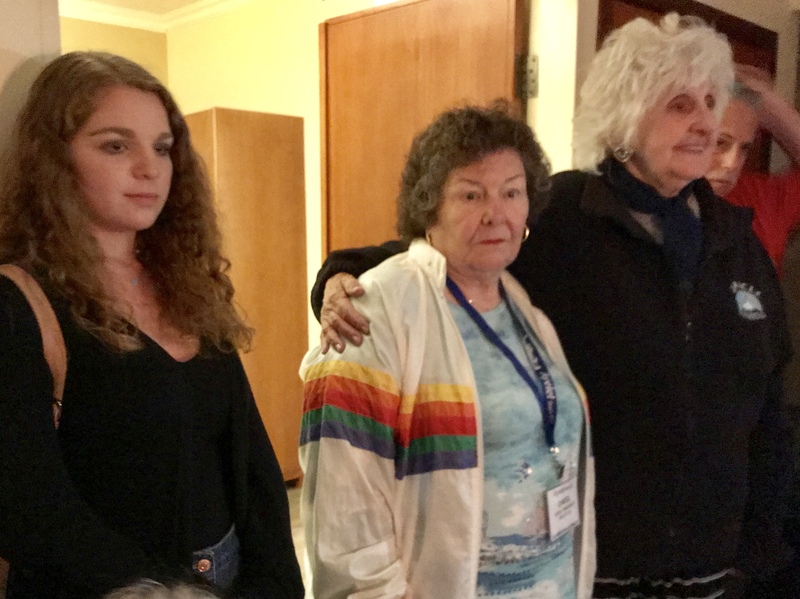 After Shabbat, she met us in our hotel lobby with samples of her work. I am surprised that Sarah Machlis is in the IDF, if I did not misunderstood. Is she now living in Yisrael? May HaShem protect this sweet young lady. Hi Scott, Sarah is learning for a year in Israel on the Conservative Movement’s Gap Year, Nativ! !